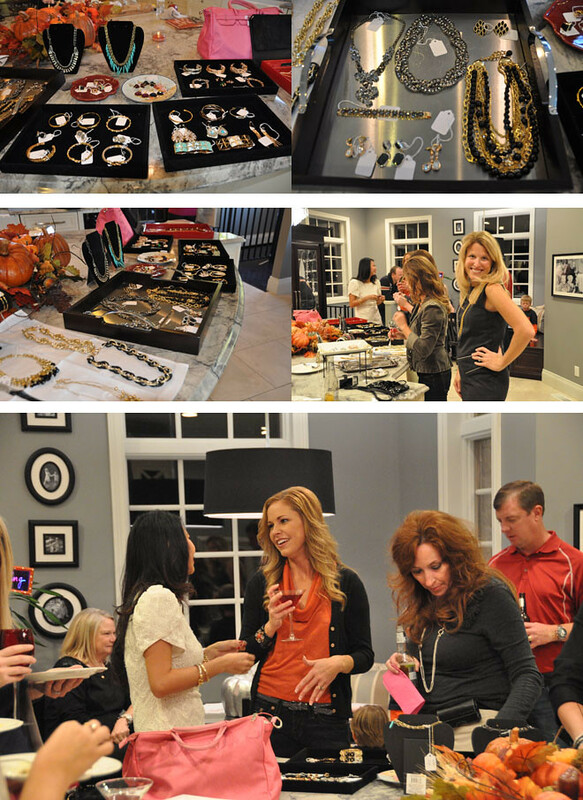 Last weekend we had our very first jewelry party! Fabulous jewels for fabulous women. My (Jen's) wonderful sister-in law threw the party and I met her group of stylish, fun, and beautiful friends. It was so much fun and I got to share pieces we don't have on the site yet! I met some wonderful people and I hope to do it again during the holiday shopping rush. Friday is the last day to take part of our wonderful promotion! If you are shopping for a gift or haven't treated yourself to something nice in a while, check out our new arrivals!! Stack our bracelets or buy yourself a statement ring or necklace; promotion is on everything on the site. Happy week and hope your enjoying some Halloween festivities! Man I wish I lived in Chicago - this would have been so fun! Everything looks so pretty all laid out. I love the color of the walls too- I have a very similar color in my dining room. I love the idea of having a viewing party! Love the layout!